historical event: England produced one pope, even though it later broke its association with the Catholic Church. 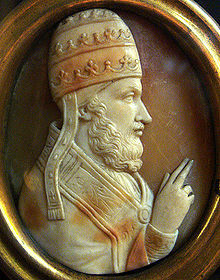 The English pope, who was elected on this day back in 1154, was named Nicholas Breakspear. On this day, the only English pope in the whole history of the Catholic Church was elected. His birth name was Nicholas Breakspear, and as pope he took the name of Adrian IV. He succeeded Pope Anastasius IV, who died the previous day. The cardinals met in St. Peter’s Basilica in the Vatican and on this day chose Englishman Breakspear as pope. It was a quick process, because the papal elections in the Middle Ages often lasted for years. Cardinal Breakspear was the most favorable candidate, probably because he had previously been celebrated due to his success in the establishment of the Catholic Church in Scandinavia. As pope, Adrian IV ruled with a pretty firm hand. It is interesting that, for the purpose of quelling an uprising, he put the city of Rome under interdict, which was yet unheard-of measure. The interdict is a ban on performing religious ceremonies in a given area. Residents of that area are not allowed to receive or give any of the sacraments, but they are not excommunicated from the church. 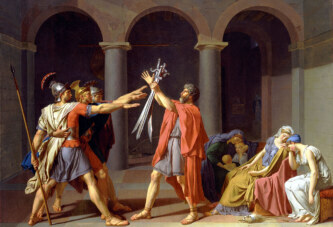 The interdict was used by the popes as a strong punitive measure, because it greatly affected the areas concerned (people could not get married, baptized, confess or receive Holy Communion). Adrian IV indeed managed to pacify the rebellious Romans.